Once again it is time to look at the average medical costs for lost-time claims in workers’ comp. as reported last week in the NCCI State of the Line Report at the 2016 Annual Issues Symposium. Those of you who have read my White Paper, or have followed this blog for sometime, know that this is an annual meeting of industry people in Florida to look at what is happening in workers’ comp. But rather, it is one way in which insurance personnel can understand where the workers’ compensation insurance market is headed. And the word this year, from Joe Paduda’s reporting last week is “Transitioning”. Workers’ comp is transitioning and what it is transitioning into has been discussed previously by both Joe and Peter Rousmaniere, and that I have described in earlier posts. Another part of this transitioning relates to the so-called ‘gig economy’ of companies like Uber and Lyft, Airbnb, etc., as well as the move of some jobs to part-time from full-time status, whatever the reason given. But let’s move on to the issue at hand, which is, what is the average medical cost for lost-time claims this year. As you will see in the first chart, the average medical cost for lost-time claim dropped 1% from 2014, where there had been an increase from 2013 of 3%. Unlike past charts, this year’s chart shows that there are two years of preliminary data, 2014 and 2014. Compare that to last year’s chart, found here, as well as the two previous years, 2014 and 2015. In 2014, the average medical cost per lost-time claim was $28,800; in 2015, the average medical cost dropped a mere $300 to $28,500, not very significant, but perhaps signalling a leveling off. You will notice in my previous articles and in my White Paper that I included a trendline that always showed the cost increasing, but it is apparent by looking at this year’s chart that there seems to be a flattening occurring. Another factor to consider is how much of the total claim cost does medical payments per claim represent. As shown in the second chart, medical costs have remained at 58% of total claim cost, with indemnity (lost wages) representing the rest. As you can see, medical costs have risen significantly since 1981. Another way to view the change in average medical cost and its apparent leveling off can be seen in the third chart. Chart 3 indicates that the cumulative change in excess of medical care inflation from 1995 to 2015 has joined the cumulative change in average medical cost from 1995 to 2015p in leveling off. What this means, according to Ms. Antonello, is that workers’ comp medical costs per claim have risen at a much faster pace than indemnity over the past thirty years, medical inflation has outpaced wage growth, medical lost-time severity has increased 214% since 1995, and the corresponding increase in medical lost-time severity over and above the increase in medical price inflation is 55%. 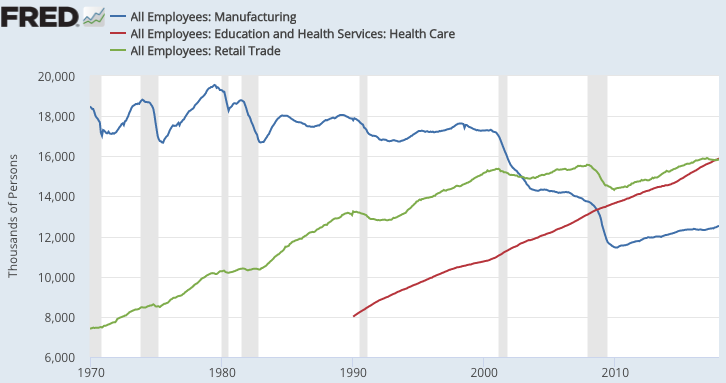 What this also indicates is that workers’ comp is changing, and many predict that in a few years, workers’ comp as we have known it will disappear. Then perhaps treating injuries to certain body parts as knees, backs, shoulders, etc., common to both workers’ comp and general health care won’t be separated into different silos, but rather paid for as one medical expense under an employer’s health plan or even a single payer plan. Either way, medical travel, given the predicted shortages of physicians and nurses, may present itself as a viable alternative, and not be subjected to antiquated laws and statutes that restrict an injured worker from getting medical care wherever they want to. And if predictions about artificial intelligence and automation are correct, then it won’t really matter, since very few individuals will be hurt on the job in the future. This entry was posted in artificial intelligence, Automation, change, Claims, Claims Process, Inflation, Insurance, MEDICAL COSTS, Medical Tourism, Medical Travel, NCCI, Physician Shortage, Workers' Comp, Workers' Compensation and tagged Claims, indemnity, Medical Costs, medical severity, Medical Tourism, Medical Travel, Physician Shortage, transitioning, Workers' Comp, Workers' Compensation on May 9, 2016 by Transforming Workers' Comp.